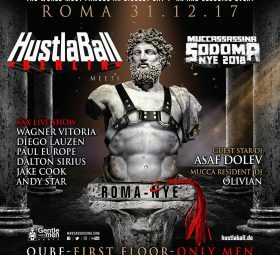 The ticket from the HustlaBall Berlin is also valid for The 10th HustlaBall Awards. A party for male models and performers at the KitKatClub in Berlin Friday night. Awards for male p*rn stars, and highlights of their best moments will be on a big screens above the stage. The multimedia movies and graphics and website are designed by WEBKING-MEDIA.